Whilst being an independent charity, Remembering Srebrenica (Scotland) is closely aligned to Remembering Srebrenica, sharing the same aims and objectives. The Board of Trustees is chaired by the Very Rev Dr Lorna Hood, former Moderator of the General Assembly of the Church of Scotland and includes a number of prominent individuals from Scottish Society. The Scottish charity coordinates Srebrenica awareness activities, commemorations and the Scottish Schools Education programme. It also fundraises and manages the “Lessons of Srebrenica” programme in Scotland. Despite only being created in 2015. The charity receives high level support across the political spectrum and is already well established in Scottish civic society. Remembering Srebrenica [Scotland] is a Scottish Charitable Incorporated Organisation (SCIO) No SCO46540. I was chosen as a 'Person of the Day' in the most influential Bosnian daily newspaper 'Dnevni Avaz' for all of my work on rememberence of the Srebrenica genocide. Spent two day at ASU (Arizona State University) raising awareness of Srebrenica genocide. Pleasure to speak at Perth Probus about @RemSrebScot. Lovely welcome from member Very Rev Dr Jim Simpson. Scotland's national commemoration for Srebrenica took place at St Mungo's Museum of Religious Life and Art. 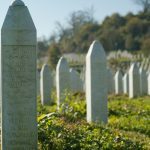 Funding boost for Remembering Srebrenica (Scotland). Kezia Dugdale MSP becomes the third party leader in Scotland to visit Srebrenica and learn from the survivors of the worst atrocity on European soil since World War Two. On the 25th anniversary of the decree by Bosnian Serb authorities that non Serbs must wear white armbands on leaving the house, a special event was held to commemorate the victims of genocide at the Scottish Parliament. 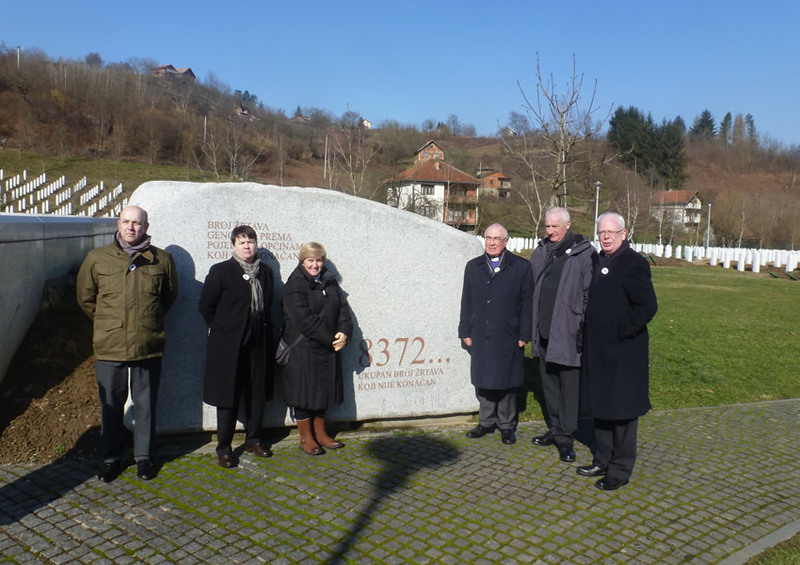 Remembering Srebrenica Scotland took the important step of signing a Memorandum of Understanding to comply with charity commission regulations at the end of 2016. 150 Head Teachers from across Scotland learned about Remembering Srebrenica's work in educating young people about the dangers of hatred last week. Remembering Srebrenica [Scotland] is a Scottish Charitable Incorporated Organisation (SCIO) No SCO46540. Click here to find out more.